Hope is pervasive in the North. We live for hope. It pervades medicine. Patients hope for survival, for cure. Others are dying but it won’t happen to me. I hope to deny evidence. Nietzsche was right: When Pandora slammed shut the box, keeping hope, she kept the greatest evil of all. Brilliant Cuban philosopher and diplomat, Raúl Roa, said the world’s greatest crisis was the consolidation of liberalism’s homo faber.1 Glorified individuals, supposedly controlling their destinies, directing their own dreams, hoping for what they want. It turned rationality upside down. Tolstoy saw it. In War and Peace, Pierre Bezukhov seeks reasons from ends:philanthropy, Masonry, social life, wine, self-sacrifice, romantic love, politics. He finds them, finally, as Napoleon’s prisoner, when he is not driven by greatness. He learns from a sick peasant with a dog. Pierre learns, not from what Platon Karataev tells him, but by connection: shared humanity. Tolstoy calls it “insanity”: “Pierre’s insanity consisted in the fact that he did not wait, as before, for personal reasons, which he called people’s merits, in order to love them, but love overflowed his heart, and, loving people without reason, he discovered the unquestionable reasons for which it was worth loving them”. Insanity, true. Pierre’s (more productive) life rejects the reason of homo faber, already by the 19th century deeply engrained. Rather than determining ends to define reasons, Pierre feels connection “without reason” and discovers human well-being, his own and others’. It’s a lost art. Roa says the Renaissance denied science. It inspired hope: for dreams we think we direct, by ourselves. It denied who we are: beings, like everything else in the universe, rooted in causal connection. The only source of dreams lies “dormant beneath a thin coating of snow and neglect”. So says Patrick Modiano in Sleep of Memory, his first book since the 2014 Nobel prize. 2 It says Roa was right. We miss “the “thousands of paths you didn’t take at various crossroads in your life because you thought there was but a single one”. The “single one”, feeding hope. Literature trumps philosophy. We feel what we reject intellectually. It is why politics needs art. Beauty is a sword, José Martí said (370 times). It cuts through the lies: Directing the dream is not freedom. It is not even interesting. Sleep of memory shows an ancient truth: there is no coherent self grounding ends that provide reasons that are reasons because they promote ends that are yours because you have them. Philosophers’ “inner voice”, the supposed source of freedom, is a lie. We expect to order memories like “electric maps near the ticket windows in the metro”. The cherished story of the self, the task of entire lifetimes, is “bits of sentences spoken by anonymous voices”. He hopes, but it doesn’t happen. They don’t link together except when he doesn’t want them to. The people he wants to forget “rise to the surface like a drowned man, at a bend in the street, at certain hours of the day”. “Brief encounters”, “real encounters”, “fruitless encounters” concern Modiano. They might “drag you in their wake when they disappear”. But they’re real. Indeed, “Paris is studded with nerve centres and the many forms our lives might have taken”. We don’t notice them. Modiano does. He doesn’t urge hope. He urges awareness: conciencia. It’s not so new. It is the vision of smart poets and philosophers who knew “nerve centres” are more interesting than lines into dreams. Understanding arises from experienced connections. They might “drag you in their wake” but they’re real. People ask me: “Where’s the hope for Cuba?”. My answer? “Go there, live there, stay long enough to make friends and learn the language. Learn the ideas and live them. You’ll know the energy of those who know the “new man”, which is not new. The medical system needs a more scientific conception of hope: seeing things as they are. Patients would see they can face their reality, finding its opportunities. Science is about the world as it is. Human reality includes death and decay. True. But human reason allows us to face it, to seek truth not dreams. 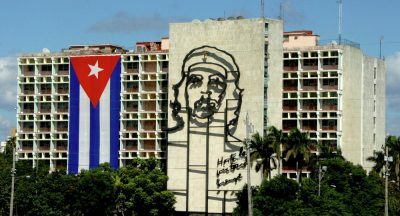 It’s a more useful sense of hope: the energy, confidence and enthusiasm that arises when we see things as they are, when we respond to “nerve centres”: Cuba’s “new man”. But it means giving up expectations of greatness, as Pierre did. Homo faber doesn’t do that. Perhaps some will now read Modiano’s book to find a way out of the modern liberal obsession with lines and dreams. They’re useless. Our memories “blend images of roads that we have taken, and we can’t recall what regions they cross”. Hope obscures such ignorance. Pandora, in the end, did us no favours. 1995 “Life in the special period”, NACLA Report on the Americas 29(2), 18– 19.